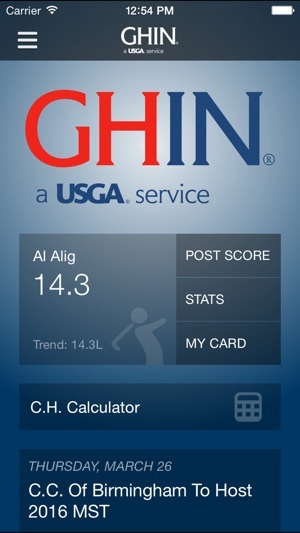 GHIN Mobile is the official app of the Golf Handicap and Information Network® (GHIN®), a service of the United States Golf Association®. 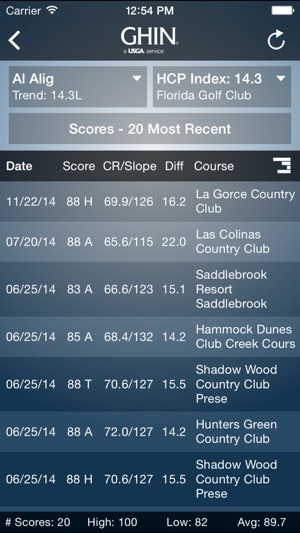 It offers a personalized mobile experience that allows you to manage and follow your game. This universal app offers these terrific features! 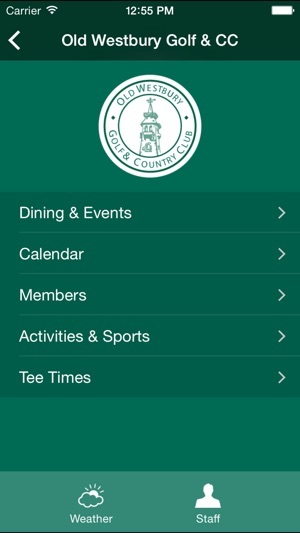 o Clubs can now connect directly with their providers that offer web-based services, such as websites, tee time reservations, event management, dining, and more. 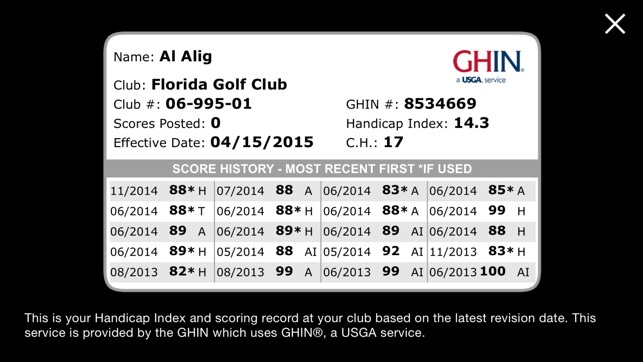 Note: Use of this app requires an official USGA Handicap Index® issued by a State or Regional Golf Association that uses the GHIN service. When I saw the Partners feature,I was excited. I run a league with approx 70 players and HDCP revision twice a month is a huge job. So I entered all my players, expecting that when HDCPs changed, I would have a convenient list of players that would update and simplify my job considerably. Disappointment! The list does not refresh. I now have a list of 70 players with 2-week old HDCPs!! There is a refresh icon, but it doesn’t work! Am I supposed to re-enter all my players? Come on USGA. You almost got it right. Please get the refresh feature for “Partners” working! Thank you USGA. Two weeks after my original review, the “Partners” indexes now update on 1st and 15th of the month as they should on my iPhone. However, the fix does not seem to be applied to the app on my iPad. Fix that and I’ll be re- rating the app to 4 stars. This is a great app which I use often and find it to be very convenient. I would however like to see one modification. When reviewing the stats of guys I play golf with ("partners" in the app), the dates shown omit the day of the month making it difficult to remind "Freddie to post his record breaking 72 last Saturday". Oddly, when I review my own scores, the full date, including day of month is shown. As a member of our club's handicap committee, I encourage peer review of posted scores. Making this modification will greatly enhance this ability. Well done USGA! No wonder American golf is experiencing decline in participation levels. I’m just a humble golfer here trying to establish a GHIN# and the USGA tech staff has effectively walked over my putting line and then carried conversation during my drive at the following tee box. Sorry, you don’t belong in the iTunes Store CC, a club where virtues of simplicity and inclusiveness rule over those of exclusivity and ‘sophistication’ (ie opaque and non intuitive). This app was NOT functional in my case. It’s like I showed up to a course with sandy greens and no hole pins. This is a case study of a 1-star app. 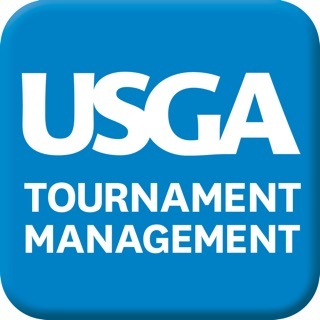 Stick with pen & paper; USGA is a dinosaurian institution. Go sit on pumpkin handle, pals. GHIN Mobile is powered by the Golf Handicap and Information Network © Copyright 2018. All rights reserved.